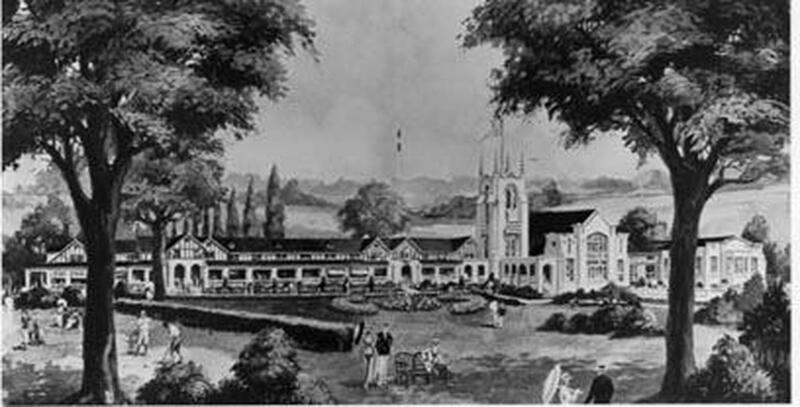 In recognition of OFCC’s unique architectural legacy, in 2016 the Olympia Fields Country Club Historic Landmark Foundation was established. 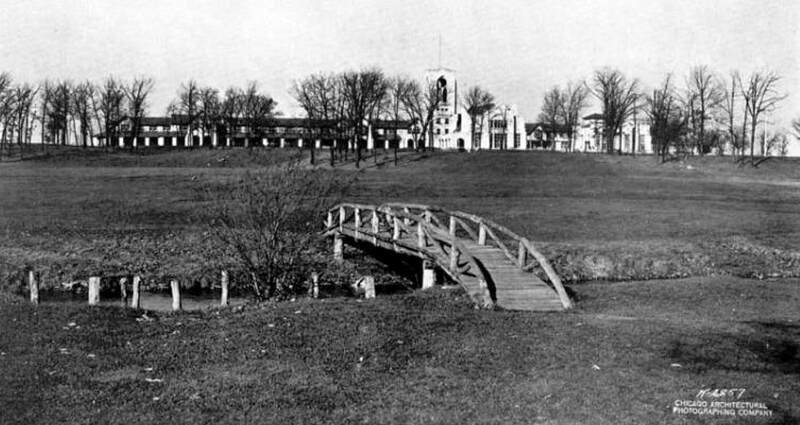 Founded as a public charity and serving the general public by restoring and preserving the historical properties of Olympia Fields, Illinois to be enjoyed, viewed, and studied by future generations. The Foundation is governed by a five-member Board of Trustees. 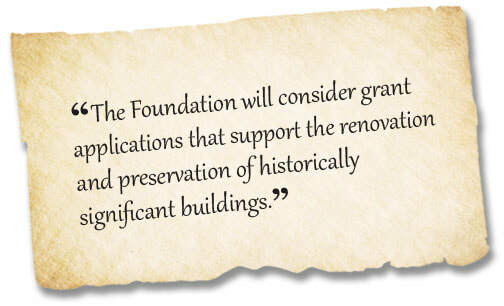 Advised and supported by the Foundation’s Historical Architect, the Trustees provide and administer grants for eligible projects that satisfy the Foundation’s Mission. A major role of the Foundation is to raise awareness and funds to help support its Mission. The Foundation serves as a 501(c)(3) public charity, providing tax advantages for individual contributions, event donations and bequests. These contributions allow the Foundation to preserve and protect the Olympia Fields Country Club as a historic landmark, as well as, other projects for the enjoyment and education of future generations. To preserve and protect old and historic buildings in and around Olympia Fields, Illinois in order to perpetuate the architectural, historic and general cultural heritage of the Olympia Fields area. The Founders of the Olympia Fields Country Club Historic Landmark Foundation recognize the importance of architecturally significant structures and are motivated to preserve such structures as important historic features of the Olympia Fields area. In furtherance of its mission, the Foundation will consider grant applications for projects that support its charitable and educational purposes consistent with the Foundation’s section 501(c)(3) status. Qualifying projects are evaluated utilizing the Centennial edition of "The Secretary of Interior's Standards for the Treatment of Historic Properties with Guidelines for Preserving, Rehabilitating, Restoring and Reconstructing Historic Buildings" following submission of an application. The Olympia Fields Country Club (OFCC) Clubhouse appears on the National Register of Historic Places and this “landmark” structure will be the Foundation’s initial recipient of Foundation support. The Foundation allows members of the community and all to partake in the appreciation and educational importance of the architectural significance of the properties. OFCC currently offers guided tours of the iconic Clubhouse. Tours are available by appointment only. For more information, click here. 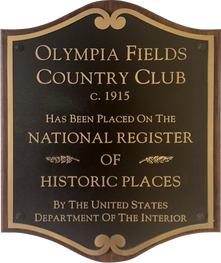 In 2001 Olympia Fields Country Club (OFCC/the Club) was officially designated a National Historic Place by the U.S. Department of the Interior. This rare designation applies to all of the historically significant elements within the “district” of the Club including the golf courses and, in particular, the iconic Clubhouse. In 2006, the American Institute of Architects named OFCC one of the “150 Best Places in Illinois”, the only golf club so recognized. These designations indicate the unique status of OFCC in American history and architecture. Please allow the video a moment to load. Designed by prominent Chicago architect and Chairman of the Olympia Field Country Club (OFCC) Founders George C. Nimmons, the Clubhouse is the iconic symbol of OFCC and a monument to the Golden Age of American golf. 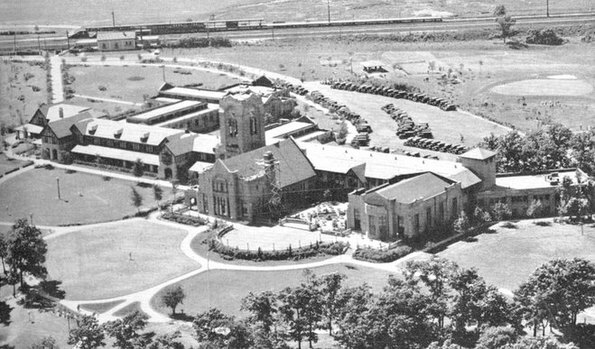 Built in 1923-24 in fulfillment of the Club’s Greater Olympia Plan and meant to serve a membership of 1200 families, its 110,000 square foot expanse made it the largest golf clubhouse in the world. The men’s locker room alone covers over 22,000 square feet – larger than many modern clubhouses. Incredible in stature, majestic in views, unique in its Tudor-revival style and showcasing its trademark 80-foot-high four-faced clock tower, the Clubhouse continues to leave an indelible imprint on all those who walk through its doors. From being a beacon for Championship Golf tournaments to celebrating family events, the Clubhouse continues to write history and produce cherished memories. The Clubhouse has been in continual use since its original construction. While some areas have been repurposed or redesigned to reflect today’s smaller membership and modern needs, its historical structure and features are largely intact. Like all historically significant buildings, its preservation requires significant maintenance of its structure, façade and interior – maintenance that is typically made more costly by efforts to use and maintain historically consistent materials and design features. And while some elements of Nimmons’ original vision have inevitably given way to nearly a century of use and remodeling, a prime goal of the Foundation is to restore these elements in a way that remains consistent with modern requirements.